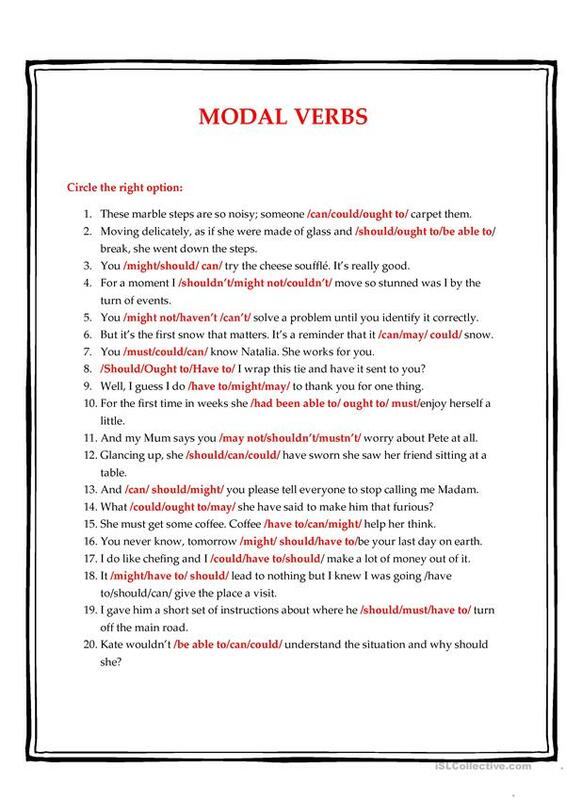 This ws checks the understanding of modal verbs. The key is included. The present downloadable teaching material is best suited for high school students at Intermediate (B1) level. 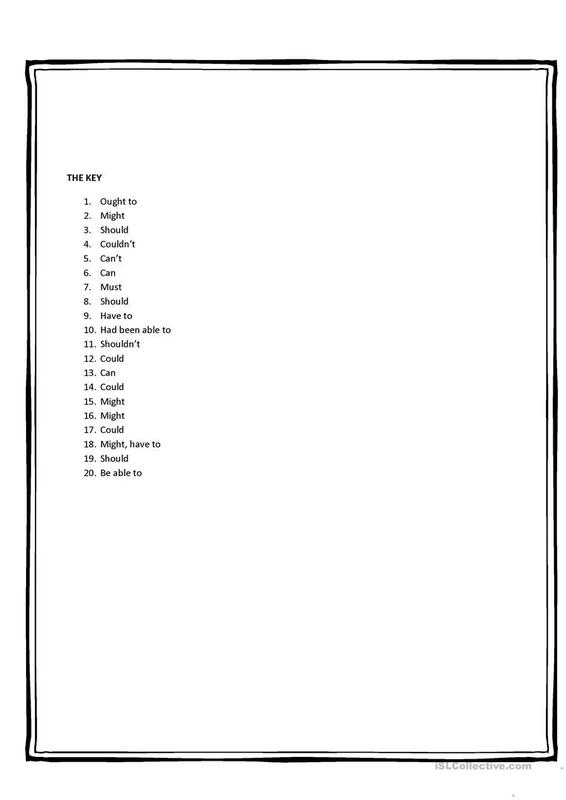 It is great for teaching Modals in English, and is excellent for working on your pupils' Writing skills. It includes the answer key, too. I am a teacher at the vocational school.